You are here: Peninei Halakha > Tefila > 17 - The Amidah > 15 – When Is It Permissible to Interrupt the Amidah? 15 – When Is It Permissible to Interrupt the Amidah? 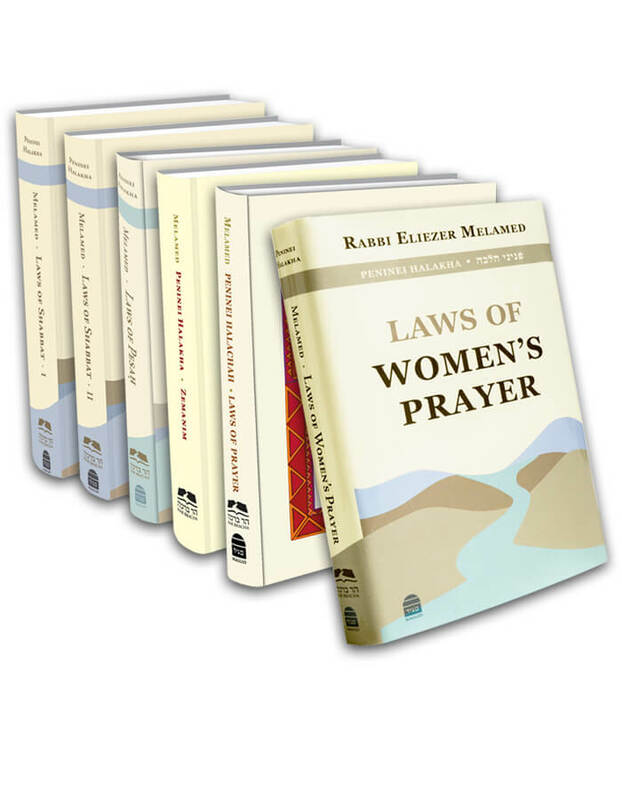 A person who stands in prayer before his Creator is prohibited from talking about other matters in the middle of praying (see further in this book, chapter 18, note 1). It is even forbidden to interrupt by walking or hinting. This is learned from the “kal vachomer” principle – if we stand before a human king in dread, and are careful not to interrupt with other matters, all the more so (kal vachomer) when we stand before the King of Kings. Even if the king of Israel were to inquire about ones well-being in the middle of the Amidah, it is forbidden to answer him. However, if a non-Jewish king, who is likely to execute him if he does not answer, addresses him in the middle of his prayer, he must interrupt his prayer, for saving a life takes precedence over prayer (Berachot 30b). If a non-poisonous snake is wrapped around his leg, he may not interrupt his prayer. However, if a scorpion or poisonous snake endangers him, he must call for help, for saving a life takes precedence over prayer (Berachot 33a; Shulchan Aruch, Orach Chaim 104:1-4). Walking is not considered a significant interruption. Therefore when one starts to recite the Amidah in a place where it is hard for him to concentrate, he is permitted to move to a different place. For instance, if a non-poisonous snake approaches him, creating a situation which disturbs his concentration, although the circumstances are not life-threatening, he is permitted to walk to a different place to continue praying with kavanah (Mishnah Berurah 104:10). A similar case is one in which a person is reciting the Amidah and there are adults or children talking around him, disturbing his concentration. If by hinting to them they will be quiet, that is the best course of action, for a hint is considered to be less of an interruption. However, if they don’t comply, he may walk to a different place and continue praying there. Likewise, if the congregation is waiting for a rabbi to finish his prayer, and this is disturbing his kavanah, he is permitted to hint to them to start Chazarat HaShatz (Mishnah Berurah 104:1). Similarly, if one’s child begins to cause a disruption in the middle of the Amidah, so much so that he or other people cannot concentrate properly, he must hint to him to leave. If the child does not understand, the parent must take him out of the synagogue without talking and then continue praying. If during the Amidah, a problem occurs that if not fixed immediately will cause him damage, he is not permitted to interrupt his prayer (Mishnah Berurah 104:2; Kaf HaChaim 6). However, if the matter bothers him so much that he cannot concentrate, he is permitted to attend to the problem. If a siddur falls to the floor and the person reciting the Amidah cannot concentrate until it is picked up, he must first finish the berachah that he is saying, and then he may go pick it up. If a person starts praying by heart, becomes confused, and cannot continue, he is permitted to go get a siddur and continue praying (Mishnah Berurah 96:7). If, in the middle of praying the Amidah, a person is uncertain regarding a law that may prevent him from continuing, such as a case in which he forgot to recite a particular passage and does not know how to continue his prayer, he may peruse through a book to determine the correct practice. If he does not know how to search for the answer in a book, there are those who allow him to interrupt with speech and inquire what the halachah is (Mishnah Berurah 104:2). Likewise, if the telephone rings in the middle of his Amidah, he must continue praying. However, if he cannot maintain his kavanah, he is permitted to disconnect the phone and return to pray. If one’s tallit falls off in the middle of the Amidah, but part of it remains on him, he is permitted to fix it. However, if his entire tallit falls off, he is forbidden to rewrap himself in it, since the act of wrapping constitutes an interruption (Shulchan Aruch 97:4). If being without a tallit disturbs him so much that he cannot concentrate, he may wrap himself in it after concluding the berachah that he is reciting (Mishnah Berurah 97:16). Someone else who sees a person’s tallit fall off is permitted to put it back on him (Kaf HaChaim 27). While praying the Amidah it is forbidden to respond to Kaddish or Kedushah. However, he may silently concentrate on what the chazan is saying, and it will be considered as if he himself recited those words – and that is the custom. Nevertheless, if such an interruption will disturb his kavanah, he is permitted to continue praying.
. This is what is written in Tefillah Kehilchatah 12:86, in the name of Rav Elyashiv. He adds that even if there is a knock at the door which is distracting him so much that he cannot continue praying with kavanah, he is permitted to open the door and hint to the person that he cannot talk right now. As for the matter of perusing through a book to determine the halachah, Yalkut Yosef 104:5 writes that although there are poskim who forbid walking to look something up, he himself agrees that it is permissible, but that asking a rabbi is forbidden. Nevertheless, it seems that if this law will determine whether or not he fulfills his obligation, it is best that he ask, as the Mishnah Berurah states. If possible, it is best that he writes his question down on a piece of paper, instead of interrupting with words. If, in the meantime, enough time passed in which he could have recited the entire Amidah, according to the Shulchan Aruch 104:5, he must start it from the beginning. However, the Rama maintains that he only goes back to the beginning when the interruption is due to circumstances beyond his control. If one arrives at Al HaNisim during Chanukah or Purim and he does not remember the words, he is permitted to walk to get a siddur in order to recite it, despite the fact that failing to recite it does not prevent him from fulfilling his obligation of reciting the Amidah. If possible, it is better that he hints to someone to bring him a siddur. It seems that it is forbidden to walk in order to verify a law that for certain does not prevent someone from fulfilling his obligation, since the study of the halachah distracts one’s thoughts from his prayer, and that constitutes more of an interruption. Therefore, as long as it is clear that it is not a matter that prevents him from fulfilling his obligation, he may not look it up. So writes the Beit Baruch 25:22.
. The Rishonim are divided concerning this. According to Rabbeinu Tam and Ri, it is forbidden to be silent and have kavanah to hear the chazan, for that is considered an interruption. Rabbeinu Chananel and Rashi maintain that one should remain silent and have kavanah to hear the chazan. So write the Tosafot and Ran that the minhag is to be quiet and have kavanah, and so rules the Shulchan Aruch 104:7. However, if this will disturb the person’s kavanah, he may practice like those who forbid it. That is the law even concerning someone who is in the middle of Pesukei d’Zimrah, as written in Shut Tzitz Eliezer 11:3 and Halichot Shlomo 6:12.